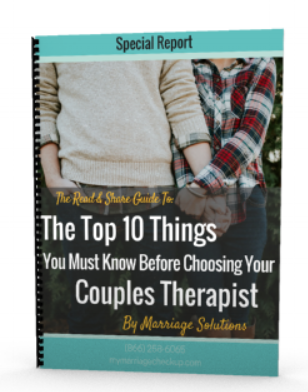 View testimonials on our couples therapy and marriage counseling services in Tulsa and Oklahoma City, OK. The best therapist achieves results and it's evident by their word of mouth referrals. You Deserve To Be Confident In The Person You Trust With Your Relationship. You Want Proven Results. We specialize in working with couples. We limit our practice to working with couples who may be just like you. This Woman's Divorce was FINAL IN 3 WEEKS! I want to sincerely thank you for your advice on how to stop my divorce. I honestly thought (and was told countless times by my husband, as you saw in counseling), that there was no hope. My husband had started dating a girl somewhat seriously and had moved on because I had hurt him too many times. I was devastated, to say the least, because I had finally realized that the grass was not greener by divorcing, and that I wanted my husband and family back. I had done all the wrong things to get him back: begged, pleaded, said I'd change, etc. and that had only pushed him further and further away. The moment we walked out your door, back in July, I quickly followed the advice you’d given me like my life depended on it (because it did). Well, it worked. It took a few weeks, but things slowly started to turn around, and we are now back together, living together, and have withdrawn the divorce.